Breaking: Invokana Update: May 24, 2018 – Invokana Amputation Lawsuits are NOW being settled out of court. People who took Johnson & Johnson type 2 diabetes drug Invokana, and suffered leg and or foot amputations MUST ACT NOW in order to receive substantial cash awards from these lawsuits. The lawyers at National Injury Help are STILL ACCEPTING CLAIMS. These cases are for leg and foot amputation injury from the drug called Invokana (canagliflozin) and is marketed under license by Janssen, a division of Johnson & Johnson. Invokana amputation lawsuit are settling out of court with cash claims from these settlement. 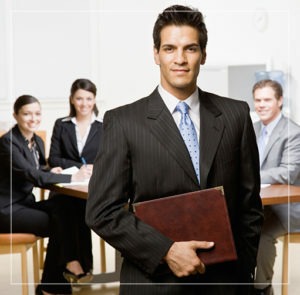 Contact National Injury Help, today to schedule a free initial consultation. 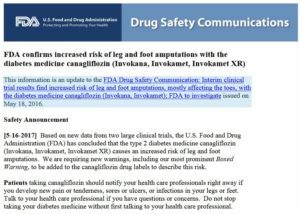 In May 2017 the FDA is alerting the public about interim safety results from an ongoing clinical trial that found an increase in leg and foot amputations, mostly affecting the toes, in patients treated with the diabetes medicine canagliflozin (Invokana, Invokamet). FDA has not determined whether canagliflozin increases the risk of leg and foot amputations. FDA is currently investigating this new safety issue and will update the public when we have more information. According to the American Diabetes Association (ADA) 29.1 million Americans, or 9.3% of the population, had diabetes in 2012. Diabetes is a medical condition that causes blood glucose, or sugar, levels to increase to higher than normal amounts. When a patient has diabetes, their body does not use insulin correctly, causing insulin resistance. In March of 2013, the FDA approved Invokana for use by patients with diabetes. The company behind the drug, Johnson & Johnson, claimed it would improve glucose control in people with Type 2 diabetes. The drug is a new class of diabetes called SGLT2, or sodium-glucose co-transporter 2. The FDA warned in May of 2015 that SGLT2 inhibitors can cause diabetic ketoacidosis. Without enough insulin, the body starts to break down fat for fuel and builds up toxic acids in the bloodstream. The signs and symptoms of this condition develop rapidly, usually within 24 hours. Some complications with diabetic ketoacidosis are low potassium, swelling in the brain, and low blood sugar. If left untreated, this condition is fatal. The FDA found around 20 cases of diabetic ketoacidosis in patients taking SGLT2 inhibitors. These cases occurred from March 2013 to June 2014 and the patients required treatment in an ER or hospital for the condition. Invokana is an oral diabetes medication that helps control blood sugar levels. It works by helping the kidneys get rid of glucose from the bloodstream. SGLT2 inhibitors don’t work on insulin production. They target the kidneys by stopping them from reabsorbing sugar. This process allows glucose in the body to leave via the urine. What are the Invokana side effects? Diabetic Ketoacidosis is a serious condition that causes high levels of ketones, or blood acids, which are poisonous. This condition occurs when the body loses its ability to produce enough insulin. Invokana Amputation Lawsuits Settling – Act NOW to file an Invokana Claim in 2018. Three recent questions about the Invokana lawsuit. 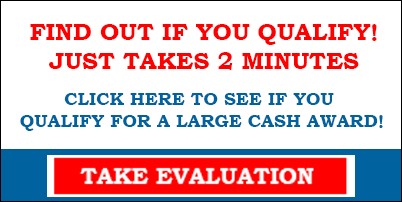 How much can you get for an Invokana lawsuit? I lost my foot from taking Invokana, can I sue the company? How much compensation would I get for taking Invokana for diabetes? How much is the settlement in the Invokana lawsuit? The answer to these questions can be difficult to predict, as the class action for this hasn’t started yet. There is still time for join in this Invokana lawsuit, but there are statutes of limitations that apply. Some of the past defective drug lawsuits have had millions of dollars in a compensation fund, and then that is divided up between all who have joined the lawsuit. Example: $50,000,000 in a settlement fund that would serve 1,000 victims would be $50,000 per person. This is only an example and does not represent what may happen for Invokana. Invokana Amputation Lawyer & Attorney for Lawsuit Claims & Settlements page updated on May 24, 2018 for Settlement Update. Breaking Invokana Update: May 24, 2018 – Amputation Invokana Lawsuits are NOW being settled out of court.